Stay in Ely the night before your canoe trip to get on the water early on your first day. 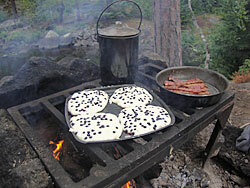 Stay the night after your canoe trip and have a celebration dinner. Ely Outfitting Company Bunkhouse - 218-343-7951 - Click here for photos. Our bunkhouse is extremely popular. Our rooms provide a private, clean, comfortable, and affordable lodging option at $25 per person, plus tax. 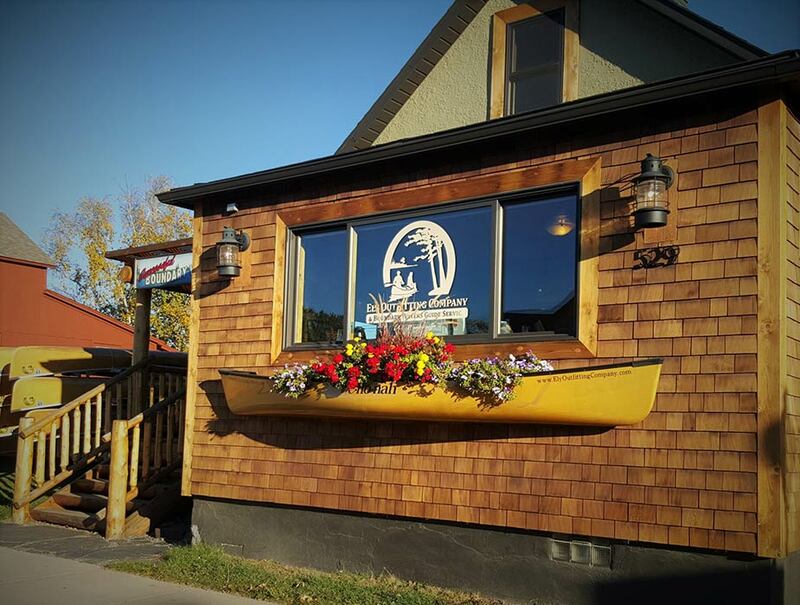 The bunkhouse is newly remodeled, next door to our shop, and within convenient walking distance of Ely's shops, restaurants, and entertainment, as well as Ely's Whiteside Park. It includes two private units. Each air-conditioned unit has its own entrance, bathroom and small refrigerator with freezer. Our comfortable beds include fresh linens with pillows and blankets. Bath towels as well as soap, shampoo, and conditioner are provided. The front unit sleeps up to nine, with a minimum four-person rate. The front unit includes one full size bed, six bunked single beds, and the potential for two roll-out beds. The back unit sleeps up to four with a minimum three-person rate. The back unit includes four bunked single beds. The bunkhouse is 100% nonsmoking. Check-in is after 3pm. For late check-ins, we leave a key and instructions for letting yourself into the bunkhouse. Check-out is by 10am. Well-behaved, quiet dogs allowed with advance notice and $15 per pet fee. The bunkhouse is exclusively available to our outfitting and guide service guests. Adventure Inn - 218-365-3140. This Inn provides some of the newest and "greenest" rooms in Ely. Their new energy efficient building uses solar powered hot water. Rooms start at about $85 per night. Six blocks from our shop. Canoe on Inn - 218-365-4590 - This clean and affordable basic motel near downtown shops and restaurants reopened under new ownership in 2017. Rooms start at about $70 per night. Seven blocks from our shop. Grand Ely Lodge - 800-365-5070. This is a large hotel overlooking Shagawa Lake on the edge of Ely. It has an indoor pool and on-site restaurant and lounge. Rooms start at about $180 per night and may require a two night minimum stay. 1.2 miles from our shop. Fall Lake Campground - U.S. Forest Service campground on Fall Lake, 8.5 miles from Ely, tent sites $14-$17 per night, optional electric sites, group sites with special rates, RV sites, click here for reservations and full facility details. South Kawishiwi River Campground - U.S. Forest Service campground on the S. Kawishiwi River, 10 miles from Ely, tent sites $12 per night, non-electric sites only, click here for reservations and full facility details. Fenske Lake Campground - U.S. Forest Service campground on Fenske Lake, 10 miles from Ely, tent sites $10-$12 per night, group sites with special rates, click here for reservations and full facility details. See more lodging options on the Ely Chamber of Commerce website.